In Brief: There are few places left in the city that are as delightfully old-school as Eisenberg's. 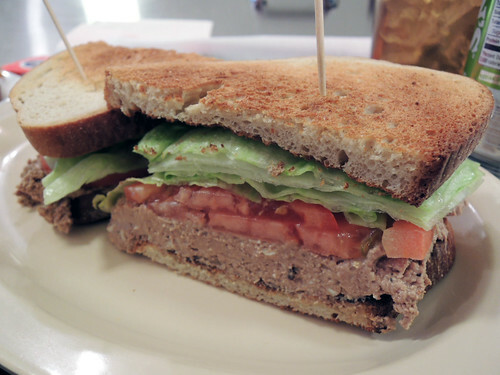 They're famous for their tuna melt, and we're partial to their fried bologna sandwich on rye. At 1:30pm Eisenberg's was packed, we took two seats at the bar. I haven't always loved bar eating but I do lately. I love how easy and intimate it is, elbows almost touching, the grillman right there to gauge your attention to the food. It's perfect for solo dining or dining with one friend. More than one friend and I'm afraid only a table will do.